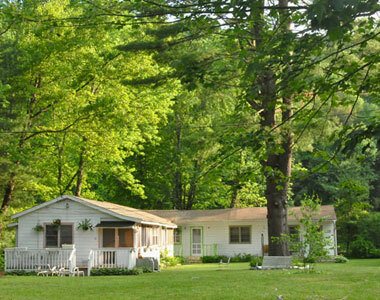 Welcome to Spring Glen Woods, in the heart of the Catskills! Spring Glen Woods is a seasonal bungalow community in upstate New York, about 90 miles from NYC, comprised of 21 charming units built in the 1940s. Open from May until mid-October each year, we enjoy the beautiful Catskill mountain views, our spacious pool, community room (with a stage! ), playground area, basketball court, campfires, laundry room, and good friends. Spring Glen Woods is an owner occupied community (we do not rent) and attracts a diverse group of people, mostly hailing from New York City, many with young children. In our mix we have teachers, artists, musicians, librarians, construction workers, lawyers, fashion designers, writers, minority women in business advocates, filmmakers, nurses, philosophers, guidance counselors, yoga instructors, toy company VPs, IT specialists, social workers, and more. We feel so fortunate to have our little country getaway. Enjoy a little personal history written by someone who has spent over 60 years in the area.